Bee Towing in Tustin offers roadside services and towing services in Tustin city which ensures quality roadside and towing services among CA Auto towing Services. Bee Towing operates latest automotive repair system to provide roadside services and roadside assistance services at any time. It is always available to answer any roadside assistance or emergency services from towing to a repair0 shop, provide repair services, car lockout, tire services etc. Bee Towing provides its quality service in Tustin and around Tustin which includes a few neighboring suburbans too. It offers 24/7 services through rapid responses by customer care services. It has all sorts of Towing vehicles through which any sort of vehicle can be towed properly. Car breakdown is a common thing nowadays. It can occur anytime anywhere. Such Mechanical failures of vehicles push people in a hectic condition and such conditions require true emergency service. 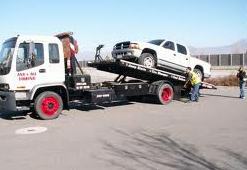 In Tustin, such true emergency towing services are provided in affordable costs by only Bee Towing. Bee Towing operates emergency services in possible shortest time by its experts of different sections. It responds to emergency calls through calls or online queries. It also is equipped with GPS and navigation system which enables Bee Towing to locate the troubled vehicle. Bee Towing offers all sorts of roadside services and roadside assistance services in emergency to fulfill its commitments. Various Towing vehicles and mobile repair service van with skilled technicians’ team patrol in important roadways and places of the city to attend the emergency calls in the possible shortest time. Its technicians and operators are skilled and qualified as Bee Towing provides services with automotive solution repair machineries and tools, it saves a lot of time which is beneficial to both the customers and the service providers, enables attending more emergency calls or general calls with true services.